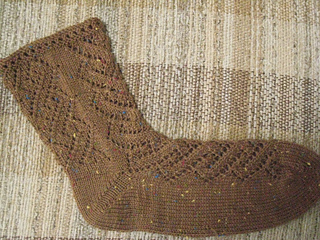 This sock and its twin also feature a heel that I recently read about on Ravelry and have grown to love – a yo-yo (German Jo-jo) heel. 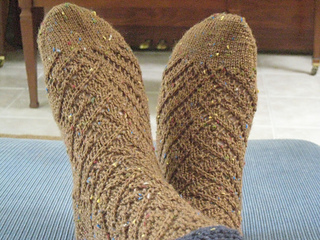 There are options for working the toe and cuff in a different color than the main portion of the sock. 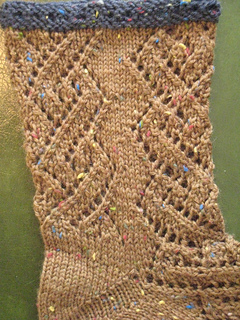 Note: There are 2 spelling errors in the pattern -- but not enough to reissue the pattern. “flinal” should be “final”. More importantly, testknits.com should be tessknits.com for info on the yo-yo heel.